World's first trained archeology dog. MEET Migaloo - the wonder dog that can sniff out a 600-year-old human skeleton buried almost 2m underground. 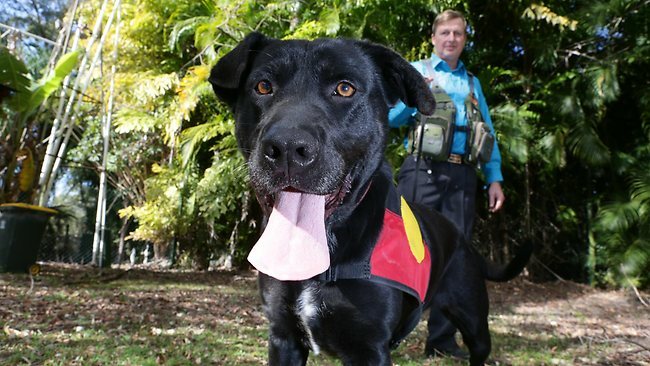 The three-year-old female black labrador cross is believed to be the world's first trained archeology dog. She is destined to work on surveys of Aboriginal sacred sites across Australia, with other dogs now likely to be similarly trained to work on excavations at ancient civilisation sites such as Egypt, the Americas, Asia, and Europe. 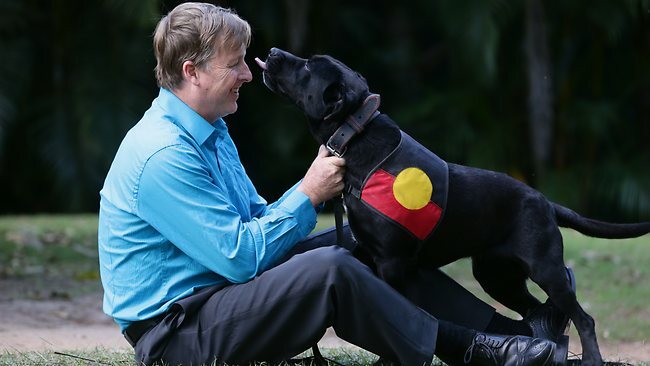 Brisbane dog expert Gary Jackson trained the clever canine using 250-year-old skeletal remains from an Aboriginal burial site, on loan from the South Australian Museum. "She's got an amazing nose, with a strong drive," he said. "It has taken us more than six months of training, field trials and a final search test. "But the dog is hitting bone fragment with 100 per cent certainty every time." Mr Jackson, owner of Multinational K9, at Narangba, has trained cadaver, koala, quoll, bomb and drug sniffer dogs. But he insists Migaloo is the world's first dedicated archaeology dog and the new world record holder after her latest test on a 600-year-old aboriginal burial ground on Yorke Peninsula in South Australia. He said the previous oldest bone find was by trained cadaver detection dog Candy owned by Bill Tolhurst set 25 years ago on an excavation site from the Battle of Snake Hill in Ontario, United States in 1812. "At 175 years old that was the oldest human bone find in history and that is why this is so important. "Migaloo has beaten the previous world record by 425 years. "This is a big deal. We now know a dog can detect 600-year-old bones up to 2m underground." Dog expert Brad Griggs, of the National Dog Trainers Federation in Melbourne, said it was a huge breakthrough. "What on earth is that dog picking up on? What is left to sniff?," said Mr Griggs. "This dog has a real gift. She is quite remarkable." Dogs are known to have such sophisticated olfactory senses they can detect cancer or smell seizures in people, sniff out mobile phones in prisons, or help in therapy, find lost children, criminals, explosives, drugs or people buried under an avalanche of snow, he said. "We can all see the potential commercial applications in finding animal or human remains going back hundreds and thousands of years, it is just astounding. "Look at the money that goes into archaeological digs and native title claims." SA Museum archaeology researcher Keryn Walshe, who observed the latest search, said the dog found the first of four burial sites within a minute. "She is an extremely clever little dog, quite amazing, she is certainly on her way to fame and fortune "We gave absolutely no cues, the dog sniffed around and went stood over it, she was spot on. "We've never heard of fossil dogs, nobody ever thought there would be any scent left on these old bones, nobody thought it could be done." Her reward, rather than a juicy bone, is a game of catch-and-chase with a tennis ball. Red Centre Consultancy director Bud Streten, who owns Migaloo, plans to use her as a non-invasive way of locating and protecting traditional burial sites. "It is a massive breakthrough, not only here in Australia but we've got some interest from overseas for use in other ancient civilisations. "At the moment in the world of archaeology there is no tool that can tell you there are human remains underground, we use ground penetrating radar, magnetic susceptibility and historical or oral records. "But now Migaloo the wonder dog can do it."